This September Ian Taylor will speak in London. The date has yet to be set. I will have the privilege of speaking again for Fields of Life in London. Fields of Life have many missions. Education is at the core of their message and support in East Africa. In February 2007 I met with Trevor Stevenson the director and founder of Fields of Life Graham Kinch and I had planed to raise 20,000 Euro for Fields of Life off the back of our Everest climb in 2008. We wanted to meet Trevor to see how money raised could be used for a project in Uganda. My whole family had been supporting Fields of Life since 1995. I was really impressed with Fields of Life only having 5% administration over heads at the time. We felt they would use the money raised in the best possible way and help much needed projects in Uganda. We presented our Everest journey to Trevor, saying we were going to climb 4 mountains on 4 continents in 1 year to raise money for their work in Africa. The conversation evolved and Trevor challenged up to build a school in Uganda. In the middle of the conversation, Trevor called the office in Uganda and asked was there any projects coming up, he had a brief conversation and challenged us with raising 70,000 Euro to build a school in a small village of Kitandwe in Uganda. I remember walking out of that meeting feeling the weight on my shoulders. 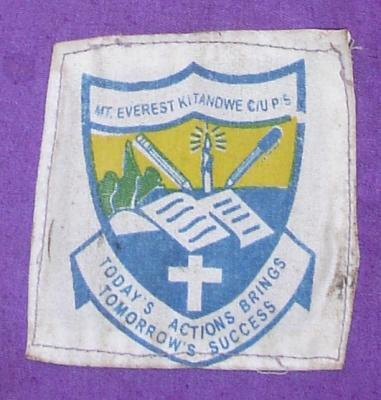 We have now committed to climbing 4 mountains on 4 continents and building a school in Uganda. I was living with my parents at the time. I didn’t have the money to pay for all the climbs and now I was pushing myself to the limit committing all my time to these lofty challenges. Four months later in June 2007 our year long journey started by climbing Mt. Blanc 4,810m/ 15,780ft. Our plan was to gain the experience needed over a year building up to Everest. We would climb a mountain every 3 months and build our training plan around the climbs. As the climbs got higher and harder we would adjust our 6 day training program to adapt to the challenges we faced. At the height of my training I was training 17 – 22 hours per week and building slowly toward my peak training phase in March 2008. We had a lot of climbing experience but limited altitude experience and hadn’t climbed above 20,000ft before we started this project. This was a serious risk. Good acclimatization I would learn is key to success and implement quality acclimatization programs on all our climbing trips. These were the climbs we picked, due to limited funds we felt this was the best program we could come up with. If I was to do it again or when I talk to people looking to climb Everest. I would recommend climbing Denali 6,194m/ 20,322 ft and or Cho Oyu 8,201m/ 26,906ft giving a climber a more rounded climbing CV and helping them gain more experience on more challenging mountains in preparation for Everest. 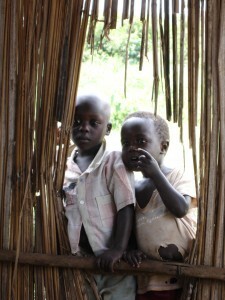 In September 2007 as part of our Kilimanjaro climb, we visited the small village of Kitandwe, Uganda. It was a big eye opener for me. 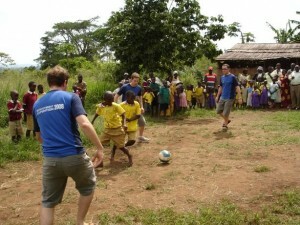 Seeing children with no shoes,most with no cloths, a bamboo shack for a school was hard to take. What I witnessed would change my life. 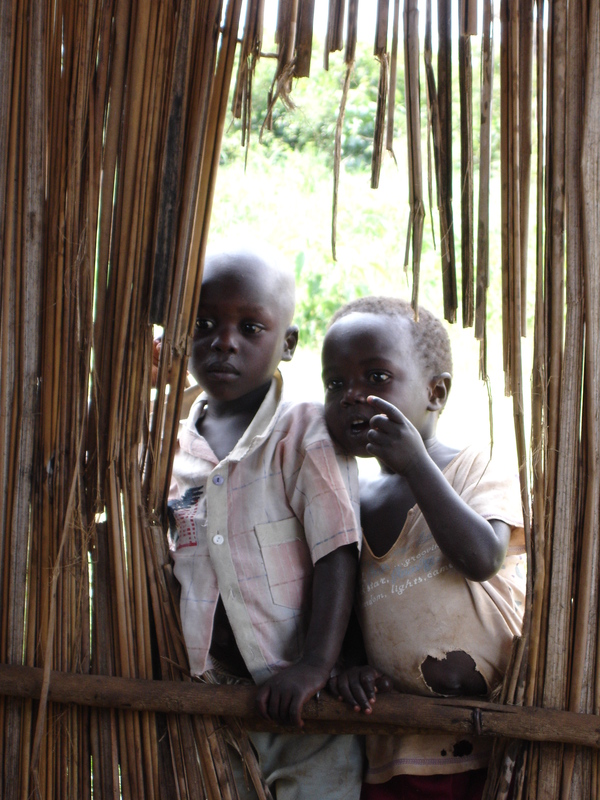 These children, village elders and people were happy, living out their lives. They were driven to get their school and had a vision for their community and knew it would happen. Happy and content to wait for their needs to be met, while moving forward with building a quality sustainable future for their children. We walked away from the village that day motivated to follow their vision that ‘Today’s actions brings tomorrow’s success’ There vision was on the move through our Everest climb and our journey. We now had to deliver. We went on to climb Kilimanjaro and headed back home to put a fundraising plan in place. Our journey started to get harder. The closer we got to the top the harder it got. Momentum was building and we need to manage our jobs, training 20 hours a week, saving every cent we could and prepare for the next leg of the journey towards South American and it’s highest peak Aconcagua. After struggling to climb Aconcagua in January 2008 I was left shattered after this challenging climb, our acclimatization schedule was all wrong which pushed me to the limit. Dehydrated and extremely tired I managed to get down safely. Back in the hotel in Mendoza, Argentina our guide took us aside and cancelled our Everest trip, he said I was good enough for Everest and that was it. I came home deflated, demotivated and questioning my own ability to climb Everest. I had been training and preparing well. I was training 2/3 hours a day, and 6/8 hours long hiking once a week with a heavy pack pack. My fitness was through the roof, my resting heart rate was 38 beats per minute and felt super strong before the Aconcagua climb. After weeks of reflection our guide set up a meeting in Dublin in late January 2008 and asked us to sign back up. This was a very confusing and challenging time for me. It was probably the lowest point of my life. I wanted to climb Everest, I believed I could do it. The decision was to source another company to climb Everest. We told the guide we would think about his offer. I knew I couldn’t trust or climb with him again. We signed up to another group and decided to fly to Kathmandu in March 2008. Two months after the disappointment of our cancelled trip to Everest we were going. I got back into my training, refocused and started planning for Everest. 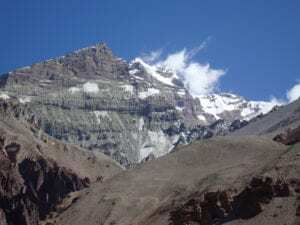 In March 2008 the week before we were to fly to Kathmandu there were rumors that Nepal would not be issuing permits to climb on the south side of Everest. The advice was to travel and see how thing played out. I was anxious thinking this was not my time and questioned if I should be going to Everest and face humiliation or worse. After we arrived at Everest base camp in early April we received word that we had our permit and we were good to go. We would acclimatize on Everest for 6 weeks, going up and down the mountain many times adapting to the lack of oxygen. I faced many challenges on Everest but in May 23rd 2008 I stood on the summit of Everest becoming the youngest Irishman at 29 to climb to the top of the world. We had an excellent acclimatization program which aided my success. I didn’t even get a headache once on the climb. I had been altitude sick on all the others mountains. I learned excellent acclimatization, along with physical conditioning gives you the best chance at success at high and extreme altitude. I have applied this learning to all the treks and climbs we offer now around the world. I have now climbed 6 of the 7 summits, trekked to Everest base camp 14 times, Kilimanjaro 18 times, Island peak at 20,305 ft 7 times and many more mountains around the world. After returning safely from Everest in early June 2008, we continued our fundraising for the school in Kitandwe, Uganda. 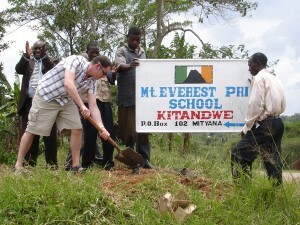 After many events and hard work we raised the 70,000 Euro and close to $100,000 for the school to be built. Work started on the school and in March 2009, 9 months after climbing Everest the school was ready. Graham and I traveled to the school for the official opening. I have visited the school many times and now years later hundreds of children are being educated and have a chance to a future. We played a small part in this. I will be happy to travel to London in September 2015 to speak about my journey with Fields of Life and how they are making a real difference on the ground in East Africa.